Fluffy 5-Ingredient Omelette Bake, the perfect make-ahead breakfast for holiday mornings! I always stress over Christmas morning breakfast… On one hand, I don’t want to be in the kitchen cooking, while the rest of the family is opening presents and making memories. I want to be right in the middle of the action! On the other hand, I feel Christmas breakfast should be something special. A celebration meal. Certainly that takes some time and effort. The last few years I’ve worked to create Christmas breakfast recipes (for my own peace of mind) that can either be made ahead and popped in the oven Christmas morning, or can be made so quickly, you are out of the kitchen in a flash. Today’s Fluffy 5-Ingredient Omelette Bake fits neatly in both categories! Prep this Fluffy 5-Ingredient Omelette Bake in 5 minutes on Christmas Eve, with 5 simple ingredients you can grab at Walmart while you’re finishing up your holiday shopping. Or you can take 5 minutes on Christmas morning to prep it, and pop in the oven. 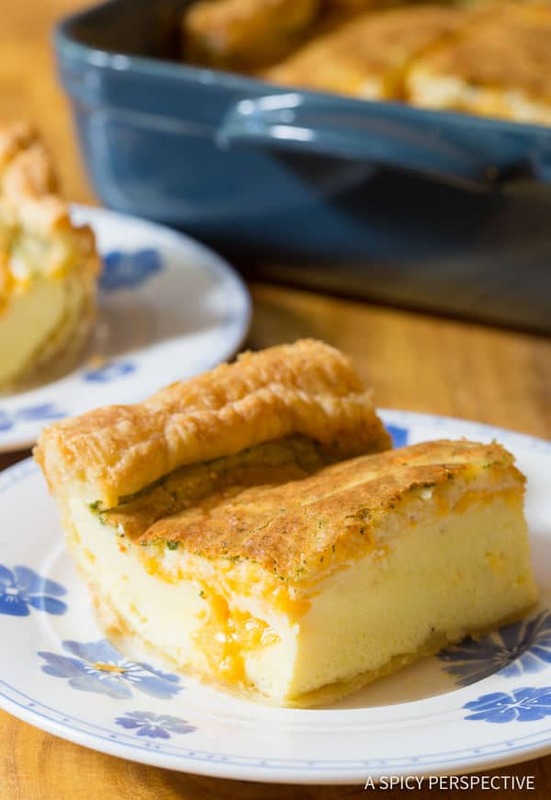 Either way, Fluffy 5-Ingredient Omelette Bake is ultra moist and pillowy, with molten cheese oozing out the sides, and a golden flaky crust. 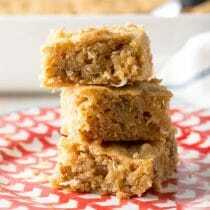 My family is absolutely nuts over this easy recipe! They first time I made Fluffy 5-Ingredient Omelette Bake, they gobbled it down and even fought over the leftovers the next day. Lay a piece of Glad® Press ‘n Seal on the counter and press it flat so it doesn’t move. 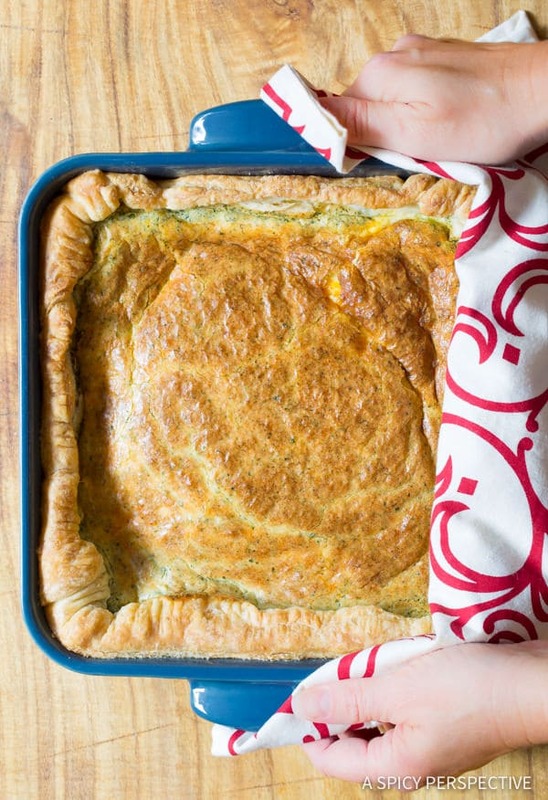 Lay a puff pastry sheet over the top and roll it out into a 12 X 12 inch square. 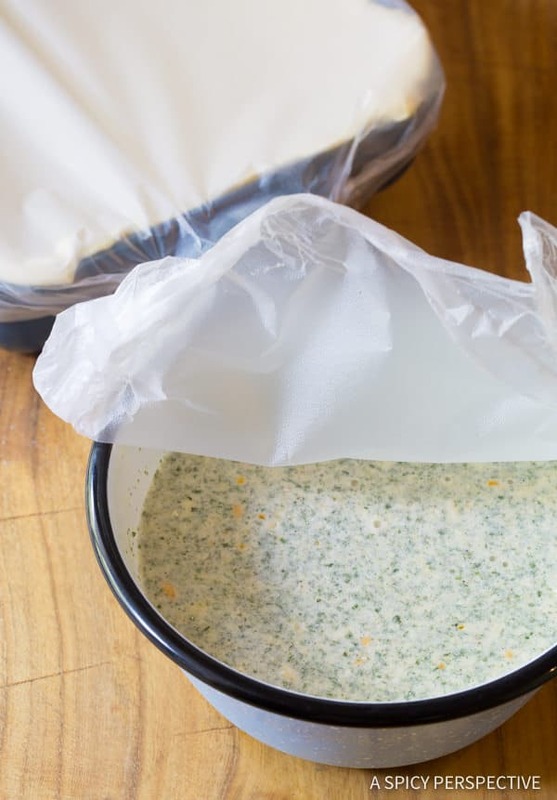 Flip the pastry into a square baking dish and peel off the plastic. Then whisk eggs and half & half together until bubbly. The secret ingredient that adds bold enticing flavor to the Omelette Bake is a single Hidden Valley® Ranch Dip Mix packet! 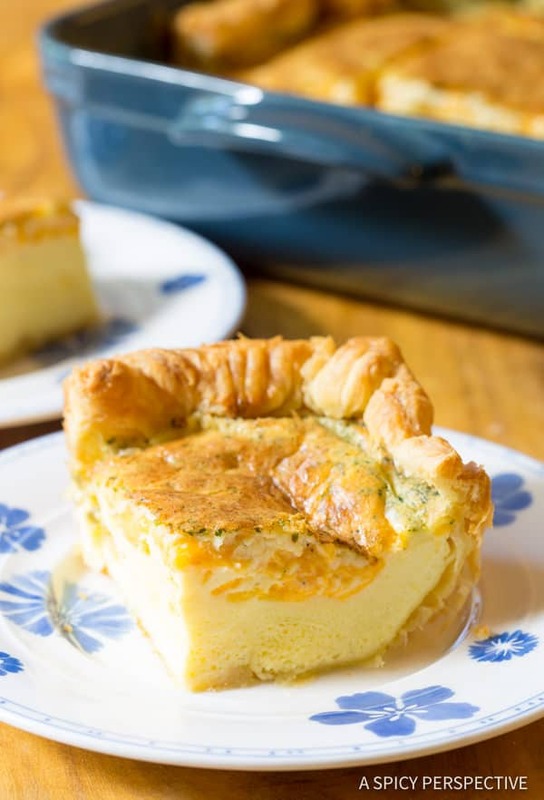 Mix the packet into the eggs, along with shredded cheese and pour the mixture into the crust. Then bake! 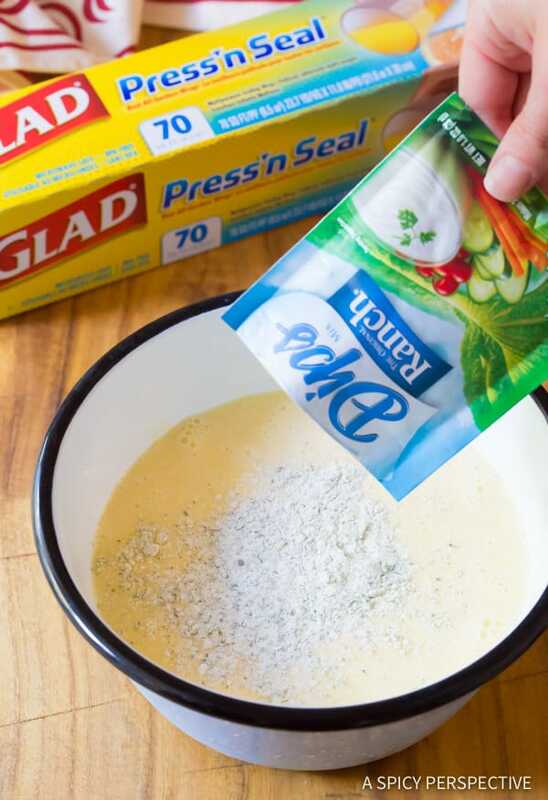 If you want to prep your Fluffy 5-Ingredient Omelette Bake the night before, keep the crust and egg mixture separate, covering them both with Glad Press ‘n Seal. Then pour the egg mixture into the crust in the morning and bake. 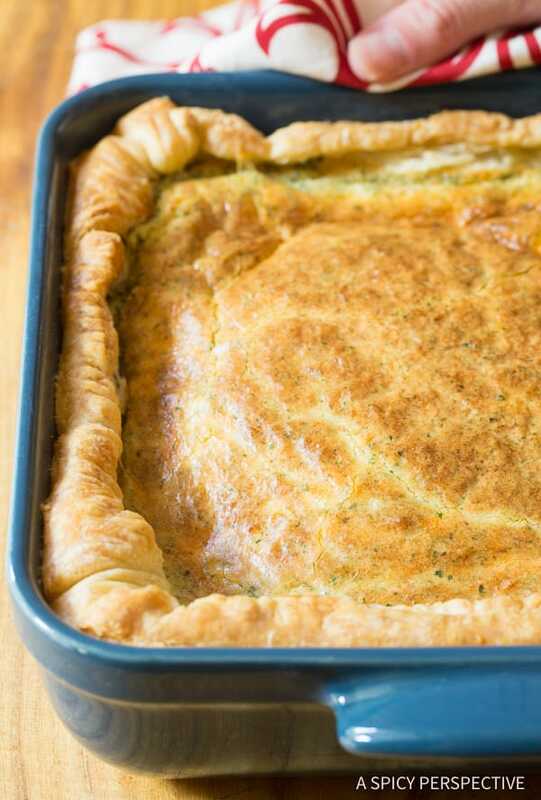 Fluffy 5-Ingredient Omelette Bake is a sure-win for Christmas morning. 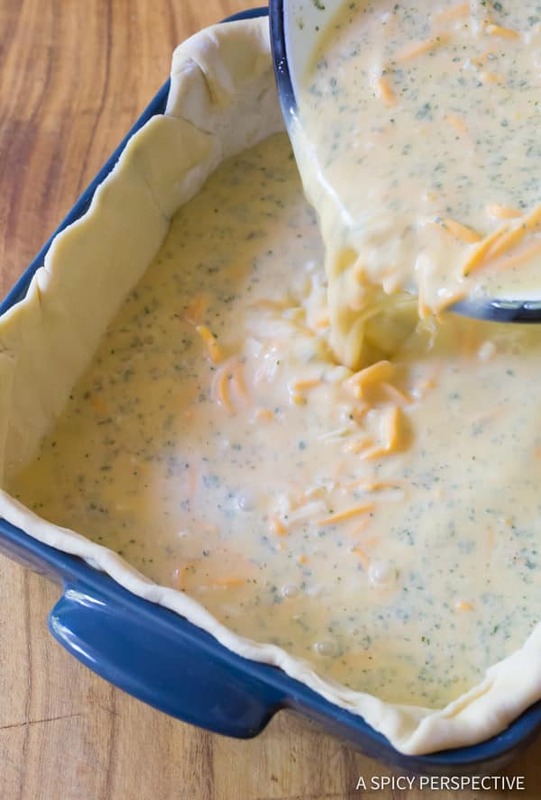 It’s so simple to make using frozen puff pastry, store-bought shredded cheese, and of course, the addictive herbaceous flavor of Hidden Valley Ranch Dip Mix, you will want to make this your every morning breakfast bake. 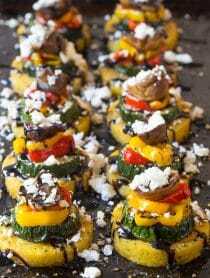 For more holiday entertaining tips and recipes, be sure to check out Walmart Holiday Favorites! Fluffy 5-Ingredient Omelette Bake - A holiday baked omelet recipe that is so easy and so delicious, you won't believe it! Preheat the oven to 400 degrees F. Lay a piece of Glad® Press ‘n Seal flat on the counter. Roll a piece of puff pastry out over it, into a 12 X 12 inch square. 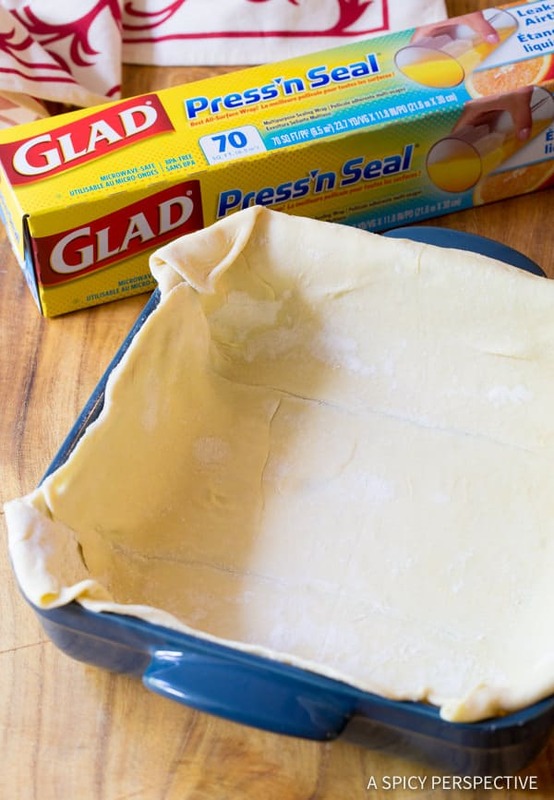 Pick up the puff pastry by the edges of the Glad® Press ‘n Seal. Flip and fit the pastry into an 8 X 8 inch baking dish, making sure the pastry comes up the sides. Peel off the Glad® Press ‘n Seal. Crimp the edges of the pastry if desired. 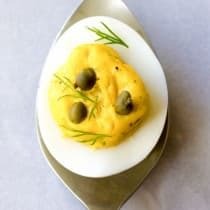 Crack the eggs into a large bowl. Add the half & half, and beat well. Mix in the Hidden Valley® Ranch Dip Mix and shredded cheese. Pour the egg mixture into the prepared baking dish. Bake for 20-30 minutes, until the center doesn't jiggle when shaken. Cool for 5 minutes. Then cut and serve! NOTE: To make the night before, prep the pastry crust and the egg mixture. Keep them separate and cover well with Glad® Press’n Seal. Refrigerate overnight. 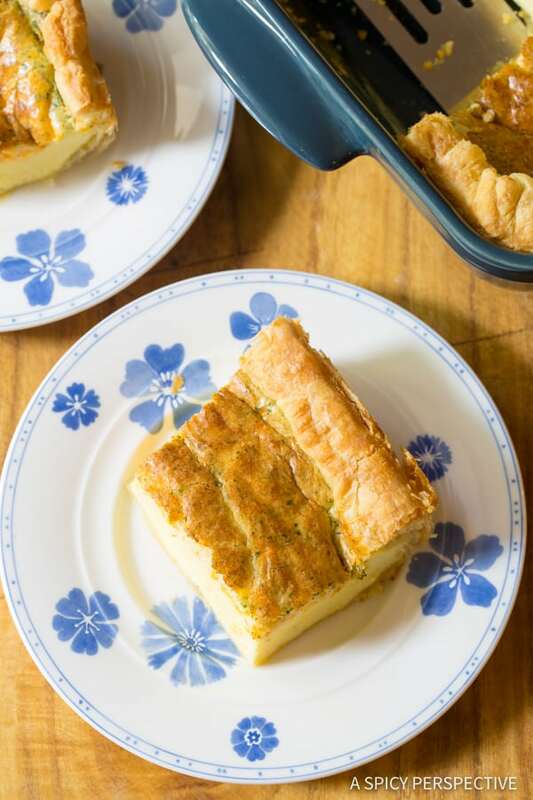 When ready to bake, unwrap the crust and egg mixture. Stir again and bake for 30 minutes. What a great idea! This looks fabulous! such a good breakfast! I’ve never tried an omelette bake before but this one is great! This is our favorite breakfast food. So easy and puffy, we love it. 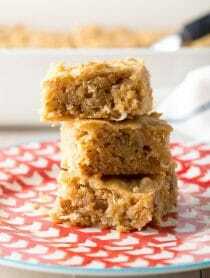 Simple and tasty recipe! Thanks! looks delicious! Thanks for the receipe. Love the idea! 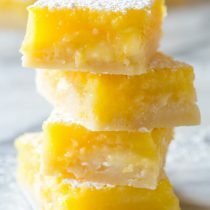 This looks easy and delicious! looks amazing. Going to make this in the next upcoming days. 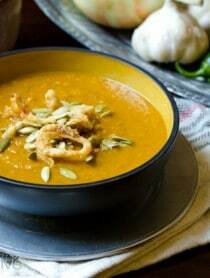 This is such a great recipe to prepare when guests are in town! Always looking for new breakfast recipes that aren’t too complex. This one might be the winner! This is my next breakfast for dinner make. Yum! Totally on my must make list! Looks incredible! What do you think about adding some ham or sausage to make the omelet a heartier one dish breakfast? I can prep the meat the night before instead of standing over the stove and cooking bacon or sausage. 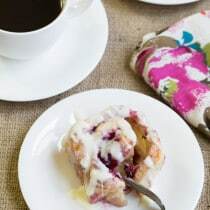 What an amazing and easy breakfast to make for the holidays! This looks awesome Sommer! I SO wish I could eat eggs! Love the idea. And the dishes, too! Thank you and have a pleasant day !